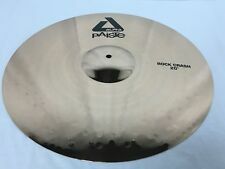 Paiste Alpha 20" Rock Crash Cymbal/Brand New & RARE! Paiste Alpha 20" Rock Crash Cymbal. Wide range, clear mix. Fairly giving feel. Very strong, cutting, and sturdy crash cymbal for louder playing in the heavier music genres. Standard rock type crash cymbal. Here we have an incredible Istanbul Agop 20" Xist Crash for sale! This cymbal sounds amazing, and outperforms cymbals twice the price! Also suitable as a light ride! While every other cymbal present on the market is the result of a process of rolling and subsequent pressing, UFIP professional lines cymbals are obtained through a procedure of centrifuge-casting. The origins of UFIP date back to the beginning of the Twentieth Century. Dream ENERGY 20" Ride Cymbal 2,345 grams (ERI20) - FREE SHIPPING! 20" Ride Cymbal. Dream ENERGY. NEW, from an Authorized Dream Dealer and in Original Factory Sleeve. The bell is focused and cutting. About Dream Cymbals Dream strives to make the best cymbals in the world. This is a gentle, versatile ride that is great for a variety of musical settings and applications. New to 2019 Paiste Cymbal! This new to 2019 cymbal is ready to be played in any genre of music. Masterwork Cymbals smiths are the artists who use that ancient technics to produce the best cymbals. The story began in Istanbul in the 15th century with Zildjian family. They were used predominantly in military music. Zildjian’ s one-of-a-kind L80 Low Volume cymbals are up to 80% quieter than traditional cymbals without losing the authentic Zildjian feel. They are ideal for practice spaces, drum lesson rooms, low volume gigs or anywhere you can’t play loud. Now available as singles, this 20" Ride is designed to seamlessly integrate into an existing L80 cymbal set. All L80 Low Volume cymbals are Made in the USA..
SABIAN 20” AAX Arena Heavy are designed for power, durability and quick decay. SABIAN 20" AAX Arena Heavy pairs are available in both regular and brilliant finishes, and commonly used both in cymbal lines of 20" cymbals and cymbal lines of different-sized. Crisp stick definition, a cutting bell and bright tonal response make the SABIAN 20" B8X Ride a versatile model for the serious beginner. 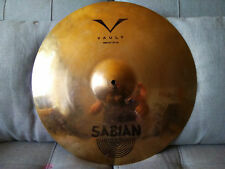 SABIAN 20" B8X Ride Cymbal. Used Gear is sold as is. Here is a Paiste Master series 20" Thin Cymbal. This thin crash cymbal is a warm, gentle crash with a fairly quick decay. 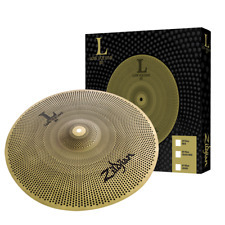 It is a great multifunctional cymbal for fast, soft accents, and delicate ride patterns. Every Byzance cymbal is a piece of art and has its own unique sound characteristics which can never be duplicated.JAZZ cymbals have a regular finish and contain outstanding sound qualities. A light, sizzling overtone provides just the right amount of subtle brightness to the overall mix of the cymbal. Here is a Paiste 20" 2002 Crash Cymbal. Its wide range and clean mix give it a very even, and responsive feel. This very versatile all-purpose crash can be used for any musical application and sounds great with any genre of music. Byzance Heavy Ride Brilliant Cymbal 20 in. 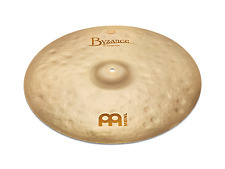 The Byzance Ride Cymbal has a high frequency range caused by the highly polished finish. The Byzance Brilliant Finish series is handmade in Turkey using B20 bronze alloy. Meinl Cymbals CCD141620 Classics Custom Dark Cymbal Box Set 14" Hihat, 16" 20"
The hi hats have a bright attack with a smooth, earthy "slosh" and crisp "chick". The ride provides the classic cutting ping with warm overtones and a musical bell that cuts with clarity. Outfit your kit with the rich texture of Classics Custom Dark cymbals. This is a great-sounding dry, pingy ride that doesn't disappear under a mountain of wash. Learn more about "Signature Required". USA is v110. For over 75 plus years our dedicated staff of musicians has assisted pros and beginners alike in getting not only the finest gear available but the right gear for their needs. 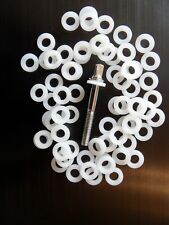 CUSTOM SERIES VEZIR JAZZ RIDE SIZZLE-RIVETS. In the 1950s, he worked in the K. Zilcan factory in Istanbul. Mikhail Zilcan and Kirkor Küçükyan taught him every aspect of this ancient Turkish art, based on a history that stems back to the early 17th century. In the 1950s, he worked in the K. Zilcan factory in Istanbul. Mikhail Zilcan and Kirkor Küçükyan taught him every aspect of this ancient Turkish art, based on a history that stems back to the early 17th century. This drum is an 8x14, which is not currently in the Gretsch USA Catalog, making this drum quite the rarity! Versatility, versatility, versatility. Smaller and lighter than its 22" and 24" cousins, the 20" AA Apollo opens the door to a greater range of pitch to the Apollo family, with more crashable options. Unlike the tambourine, it has no jingles but most often has a snare (usually made of gut) stretched across its head, which when the drum is struck with the fingers or palm gives the tone a buzzing quality. CATEGORY: A ZILDJIAN SERIES. SIZE: 20 IN. / 50.8 CM. BALANCE: BLEND. SOUND: BRIGHT/MID. PITCH: MID TO HIGH. The full-bodied and very musical response of our SABIAN 20" HH Thin Crash is low, dark and warm. As a result, HH Crashes sound thinner and more musical. As with everything in life, we also have limits, here are a few. The tupan is a large two-headed drum that is played with mallets. This version is bolt tuned and includes a shoulder strap, tuning tool and beaters. The drum hangs from around the player's neck, sideways. Sound: Bright, traditional, airy, clean with warmth, clarity and tonal definition. 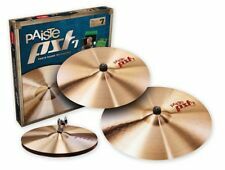 Paiste Sound Technology stands for first-class manufactured cymbals and high quality sound design at an affordable price.